There is a new form of AI going around that we should talk about: voice-activated interface and vocal command-based artificial intelligence. If this sounds familiar, it should be; applications such as Siri which is a voice-based program are now integrated into our mobile phones. There is now voice-activated AI sold on Google and Amazon called “OK Google” and Alexa, which are voice-activated software programs built within portable devices. These devices include Google Home and the Amazon Echo, Tap, and Dot. If you’re sitting there scratching your head about what this could mean for you and your business, we’re going to help you out. Here’s what you need to know about this new form of artificial intelligence. You may remember that we wrote about AI on our blog already, specifically about chatbots (if you don’t remember, here’s the post in question). What we didn’t really cover then was voice AI, because at the time chatbots were one of the biggest points of focus in articles about marketing trends. It looks like voice AI, however, is proving more efficient as a marketing strategy for businesses. This goes to show how fast technology is progressing! Voice AI is popular because some customers need help with finding things but may be in a hurry and don’t have time to text or type on their phones, or they’re away from their computers. Some people are visually challenged or developing blindness, to the point where they can’t see what they’re typing online. Voice AI such as Alexa and Siri are thus the solutions to these problems, since the only thing you need to use if you want to find something is your own voice. Brand loyalty. Voice-activated AI can help brands build more loyalty while selling more products. This is why major companies such as Google, Amazon, and even Wal-Mart are adopting voice assistant AI to their shopping methods, so that their customers can find out what they want exactly and thus keep returning to buy their products. Exact search results. Some companies such as real estate are now using Alexa to help potential home buyers find out exactly what the neighbourhood is like, as well as over a dozen related topics. Alexa will search for the top three results after being given specific voice commands such as “real estate” and “buy” with great speed. This saves the time it takes to type in your command as you would from a desktop computer or on your smartphone. Easy access.Siri is now built directly into smartphones, making it easier for people to use in their daily lives. As we mentioned already, voice AI is also a great choice for people who are visually impaired, since they rely on sound rather than sight to find what they need online. This form of assistance is an example of AI having real benefits and contribution to making one’s life easier and more manageable. Inability to make distinctions. If there is more than one voice within the vicinity of the voice AI, it will have difficulty picking up on the distinct voice commanding it. This does not make the AI ideal for settings such as an office environment where there are many people working within the same area. Your brand. By this we mean your brand’s actual voice. Since Siri and Alexa are both programs, not actual human beings, this can actually harm your brand if personable aspects, such as creative problem solving and compassion, are your brand’s cornerstones. Using voice AI will not assist you with this aspect of your brand—in fact, it may make you look like you actually aren’t compassionate if you’re letting a robot speak on your behalf. Expense. Again, like chatbots, voice-activated AI comes at a costly price if you’re thinking about integrating the software into how your company runs. It’s not a simple product by any means if you’re seriously considering building the software from scratch, and prices are calculated individually. This means you could likely be paying up to $100,000 for the most sophisticated voice AI program! Not to mention if you’re thinking about applying voice AI devices in more than one room as an alternative, that will also cost you. Currently, a Google Home device can cost up to an average of $130, while Amazon Echo can cost up to $180. Multiply that by however many devices you need, and you’re looking at a veryexpensive transaction! The bottom line is, unless you’re a large corporation like Google and Amazon are, AI is not worth the price. So why are we even talking about all of this? 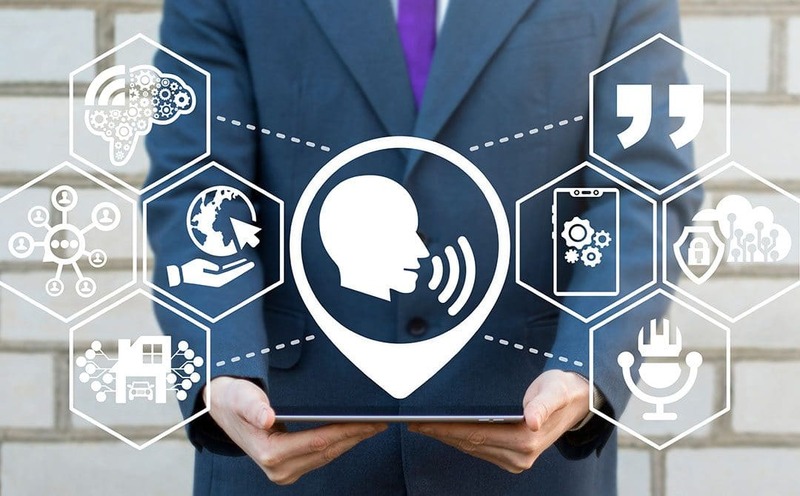 Mainly to keep you informed, because customers areusing voice AI to search online, and it helps to know howthey’re searching for what they need. We also believe staying up to date on trends like this can benefit everyone—we just need to be smart about it. Even with voice AI, your business will not be able to be successful if it doesn’t have the basics first: a website, for one; well-written content, for another; an actual, versatile marketing strategy for yet another. Without any of these things established for your business, you won’t find any success in the long run. If these are what you need, give us a call at V3 Media. If you’re still unsure about voice AI and other tech-related marketing strategies, feel free to discuss it with us one-on-one via a consultation. We do our best to stay informed!